In what can be said as a strange direction in the industry, I was recently sent a review copy of the latest version of Dan Hughes by Jude & Dilisio Games LLC which as you know has been on release for some time. Well I would probably say escaped rather than released, I wouldn't say sent, it was kind of a case of the local courier dropping a rather Hughish box outside the office where I work, ran the doorbell and dashed off in his van, laughing heartily, with a very familiar acting voice indeed. It is a difficult thing to prepare for meeting people that so far, you have only really interacted with online. I'm happier to share a direct message, or Facebook chat, because you can't really see that what I've done is deleted the sentence some seven times before I sent it. It's allows me to self edit in so many ways on the fly. Where do I start with Teotihuacan: City of Gods? Getting it on the table it looks equal parts complex and beautiful. 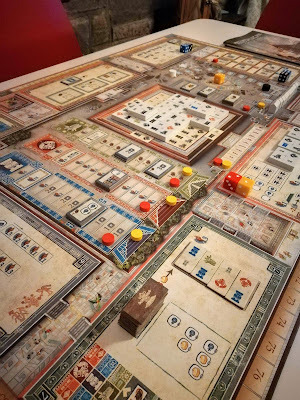 Essentially a Euro, with elements of set collection, some tile laying and board which is a giant rondel the game offers a myriad of strategies to pursue in your bid to outscore your opponents. The game is based on the Aztec city of the same name (pronounced Tee-oh-tay-wah-Kan, I am reliably informed by a Mexican colleague), and in it players take on the role of families vying for favour by helping to build the pyramid in the city, whilst worshipping at various temples to gain the favour of the gods. The board itself has a scoring track on the outer edge, with the rondel inside that comprising 8 different areas where players can take actions. Moving in towards the centre there are also the three temple tracks, the Avenue of the Dead and the eclipse track, before slap bang in the centre is the pyramid. The Legends of Novus from FunDaMental Games is one of those strange games where the theme, the promise of adventure, and the components make you fear that you’re about to be embroiled in a quest with the complexity of Mage Knight proportions. 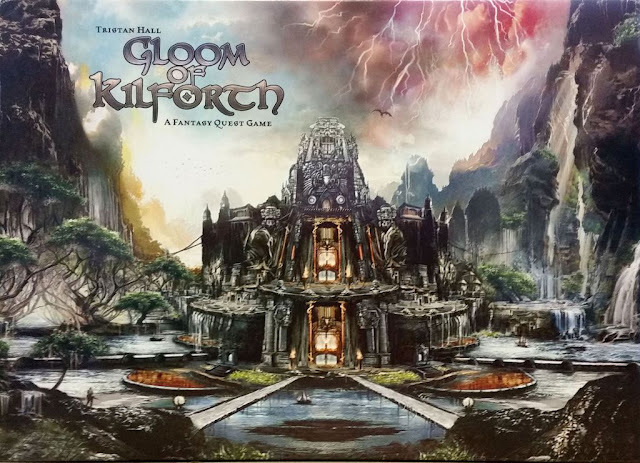 It talks a big game here, there are counters and decks of cards, a map with various locations to visit, and actions that will take you exploring or battling or finding equipment to help level up your character and complete your quest. It all looks like there’s going to be a need to watch playthrough videos. You’re going to have to bring in the Rodney or the Rahdo to help you figure things out. You might possibly end up putting it to one side and playing Scythe instead. It’s potentially that kind of a game, where you feel like the brain is going to be burning after 10 minutes of decisions. There will be analysis paralysis and tears. Swearing at your own ineptitude and all to the sound of a constant flickering rule book. Flip & Find's Diner takes a game anyone with children will know - tile matching - and puts a little extra ingredient into the mix. Does this elevate it beyond that basic premise of finding matching tiles though and is it worth a mention in the crowded world of board games? Read on to find out. 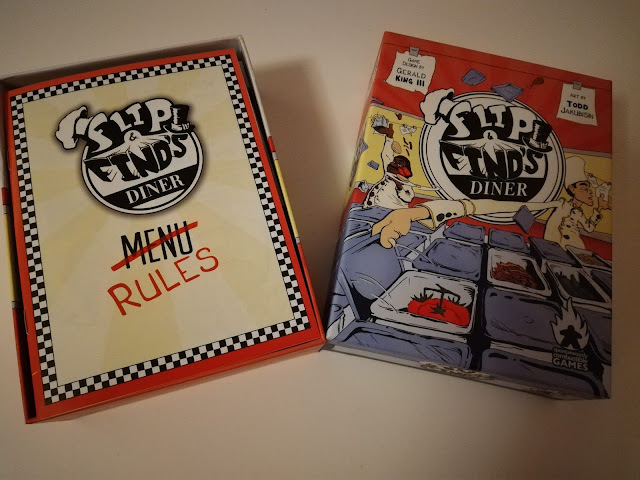 I first heard about Flip & Find's Diner on none other than We're Not Wizards back in March 2018. Gerald King III of Spontaneously Combustible Games was a guest talking about the forthcoming Kickstarter campaign for the game and I was impressed enough to back the campaign. The game duly arrived around the turn of the year and here are my thoughts. As I said previously, at it's heart this is a tile matching game. 25 ingredient tiles are laid out face down in a 5 x 5 grid. Then the extra element comes in. 5 order cards are laid out at the bottom of the tile grid, face up. Alongside this a tip deck is placed face down. When Loke BattleMats were kind enough to reach out and offer me a chance to try out their Giant Book of BattleMats, I had to concede it would be unfair for me to even attempt to look over their fantastic offering without coming across as some kind of ignorant buffoon. Luckily for me, all round good egg and excellent DM, Neil Alexander, who runs RPG campaigns regularly in Dunfermline and Edinburgh was happy to take a look on my behalf. So I took the chance to outsource this review to him so he could try the Battle Mats out on some active campaigns. 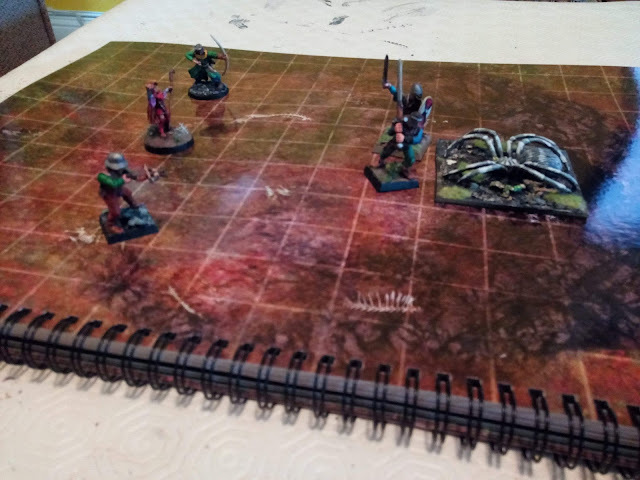 The Giant Book of BattleMats certainly live up to their name, coming in a ring binding of A3 size and 62 pages of various style maps and possible scenarios for you to live out your campaign. You can either use the pages separately or open them up so that you can create an entire A2 scene which will allow you to easily place additional items on the map to enhance the experience. Disclaimer: No gamers were harmed during the writing of this blog post. So, you’ve designed a game, you spent many hours, days, weeks even designing and/or finalising the artwork and writing the rule book, you successfully fund on Kickstarter and your game goes out into the wilds. You start to see photos of people not only playing, but enjoying your game on social media and you feel great. Those hours, days, weeks were worth it. Your creation is bringing joy to other people’s lives. And then you see a photo where someone isn’t playing your game quite right. I mean, it’s not like I’ve played this game hundreds and hundreds of times and the gameplay is now muscle memory and ingrained into me on how it should, MUST be played. But you look at the photo and all you can see is THEY ARE PLAYING IT WRONG! Let’s start this preview by putting things in perspective. There’s a reasonably large amount of pressure placed on a preview for a Kickstarter game that isn’t live yet, that isn’t in other people’s hands and isn’t already out there with a general consensus on whether it is generally enjoyable or wash out. It’s a lot to take in that maybe your thoughts are the thing that could maybe sway someone’s opinion to back or not bother. That you could effectively hold the lifeline or axe over someone who has potentially spent years developing their product. It's been an interesting year for the crowdfunding platform, with its share of multi-million dollar successes, controversies surrounding outright potential fraud and plagiarism, and continuing dramas centering around project fulfillment or lack there of. We have our first taste of Kickstarter as an actual pre-order store and our stalwart Big Name behemoths seeing push backs against some of their expected successes. At the centre of it all, the old debates surface and swirl and disappear only to surface again. For those jumping on the platform for their first time, with their game clutched tightly to their chest, they'll often hear the echoes of previous creators ringing in their ears. An innovative take on the fantasy adventure genre, the game boasts incredible artwork and a superb theme. You are an adventurer looking to tell their tale in the form of a three part saga. Each part of the saga is completed by collecting keywords from locations and encounters. As a first offering from designer Tristan Hall, this was a very ambitious project and 10 years on the making. His decision to use only one artist to produce the unique pieces of art for over 300 cards led to quite a big delay, but the result is a truly stunning looking game with a consistent feel. Every time you draw a card, you will spend a moment just taking in it's beauty. This coherence really helps in immersing the players into a fantasy world akin to a Tolkien story.